It’s been a slightly barking January to be honest. Hence the relative silence of late on the update front. Apart from suffering the outrageous slings and arrows of the pitch process on several occasions this month, we’ve also been shifting an awful lot of client work. Most of it has turned out rather well. Even if we do say so ourselves. Which we do. The most recent of our campaigns has been our work with O2 on their Recycling programme. Top and bottom is that O2 will offer people money for their old phones. Which is a financially GOOD thing. 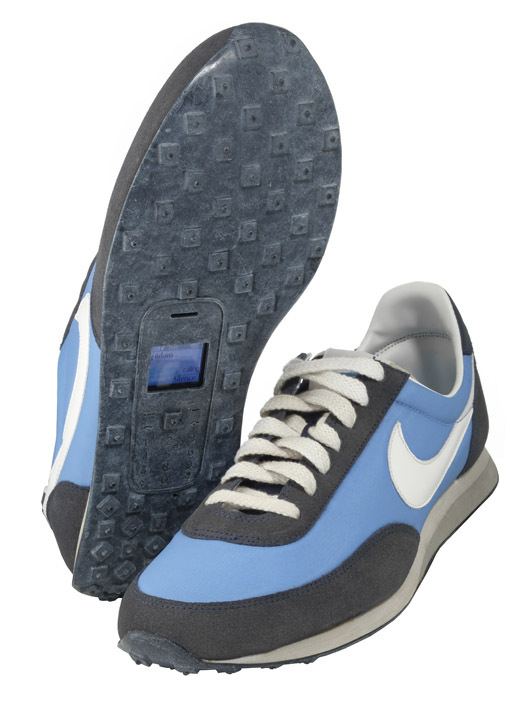 But could also have a profound impact on the environment – there are millions sent to landfill every single year. The issue is that, while it may be important, mobile phone recycling is not actually terribly interesting. So we thought we’d grasp the nettle and change that. Working with the wondrous chaps at designworks, we created four “Upcycled” mobiles (that’s the process of taking things that have little or no value and combining them in new and interesting ways to make a new product that has high value). 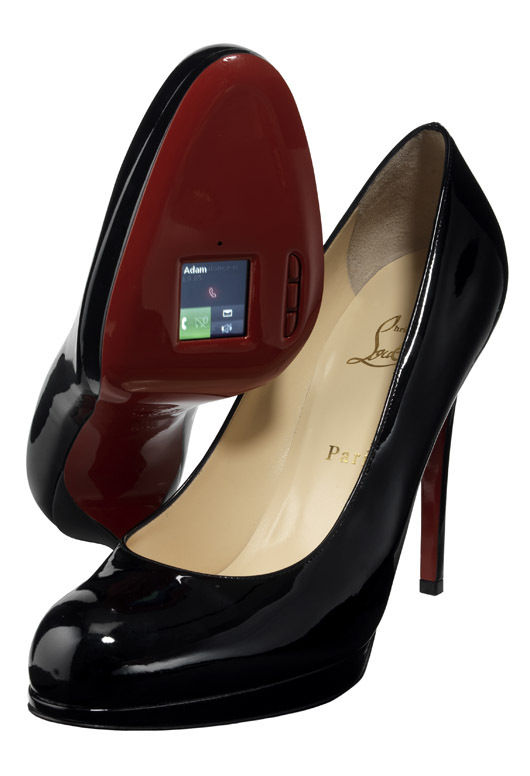 In this case, we made what we’ve christened “Walkie Talkies” – phones combined with shoes. Naturally. 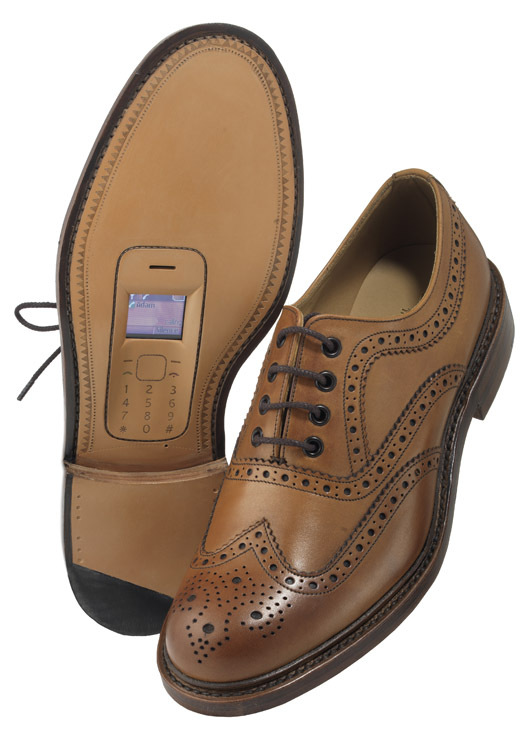 The four – which all function perfectly as phones – combine a Loake brogue, a Christian Louboutin heel, a Nike trainer and a Hunter Welly with Nokia and LG handsets that have been recycled through O2.